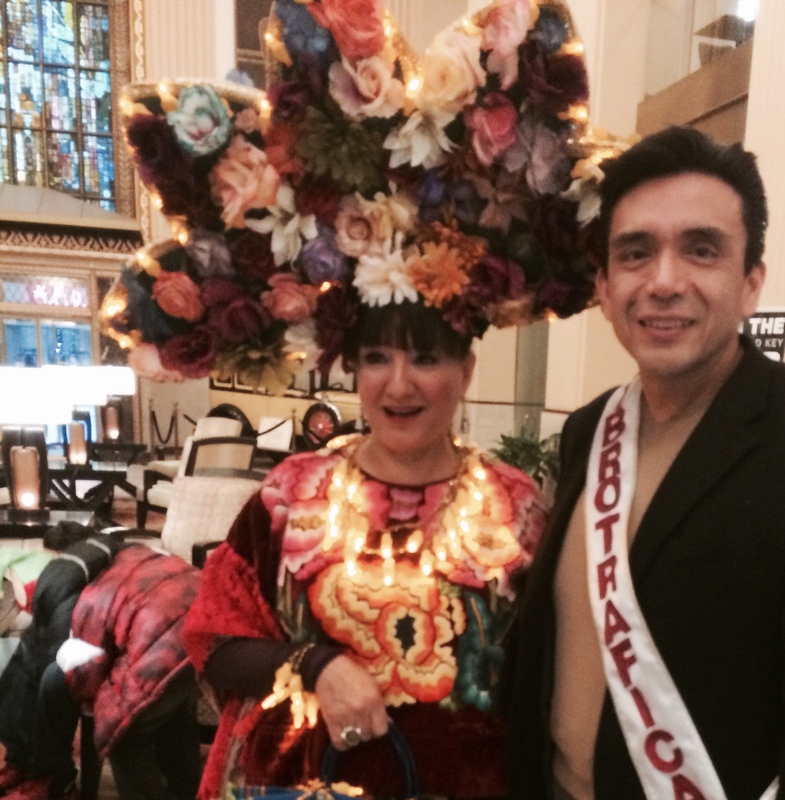 Nuestra Palabra's mission is to promote Latino Literature and literacy. 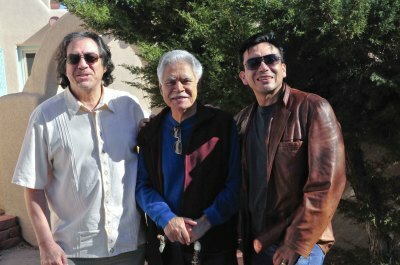 Tony Diaz founded Nuestra Palabra: Latino Writers Having Their Say in April of 1998. Its mission was to promote Latino writers and literacy at a time when our community was barely becoming a consumer demographic let alone an intellectual movement. The group began as a monthly reading series featuring Latino writers performing their work live in English, Spanish, or Spanglish. The group was a hit from day one, defying stereotypes about our community that said Latinos were not interested in literature, that there were not enough Latino writers, that we wrote about only certain topics. 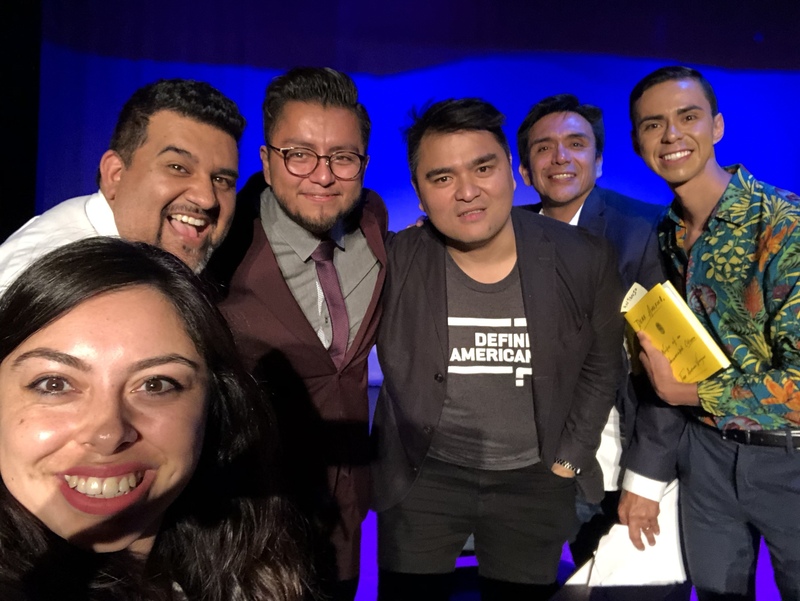 Nuestra Palabra not only provided a venue, it also began cultivating a critical mass of artists, volunteers, sponsors, and an audience that wanted more, and more, and more, and were willing to put their time, energy, money, and art behind it. This led to other initiatives such as workshops for teachers and administrators on implementing Latino literature in classrooms, readings at schools, the Nuestra Palabra Radio Show, The Houston Latino Book and Family Festivals-one of the largest book fairs in Houston and Texas, The NP MFA Program, and the Librotraficante Movement, among others. Nuestra Palabra alums are also continuing the tradition of innovation and intellectualism with projects which we call Nuestra Palabra 2nd Gen. 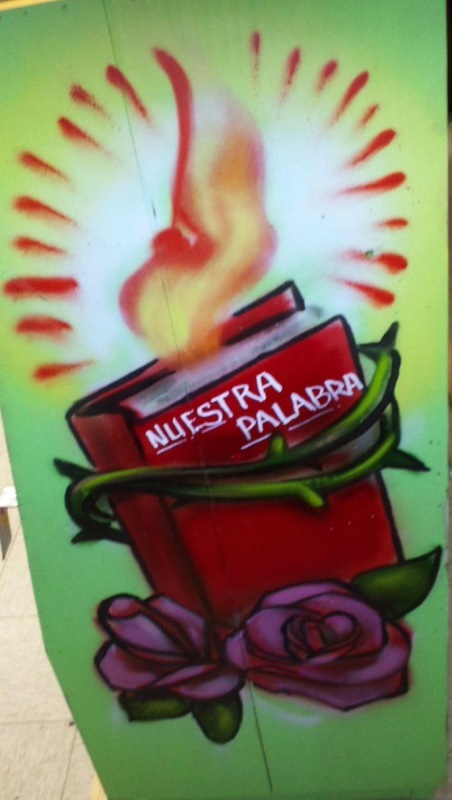 In fact, Nuestra Palabra’s second generation of writers has cultivated proteges for Nuestra Palabra 3rd Gen. Throughout all of this the Nuestra Palabra Radio Show has played a major role. The Nuestra Palabra Radio Show began broadcasting on 90.1 FM KPFT in March of 2001. The radio show aired on Tuesdays to make the most of the authors who would be visiting for their monthly showcases, which originally took place every last Wednesday of the month. Founder Tony Diaz chose Wednesdays for the literary showcases because there was too much competition for art events on weekends and Fridays. Most groups at the time chose Thursday as the alternate date for art events, so that left Wednesdays wide open. It was also important to keep a regular schedule so that folks could plan to attend NP well ahead of time. The radio show would offer an opportunity for the visiting authors and featured local authors to promote their visit to NP the following evening. The NP Radio Show has played a vital role in the work of Nuestra Palabra and its by-products, such as the Libtotraficante movement. If you would like to become part of the Nuestra Palabra Radio Team, below is a list of posts and an application. NP Radio Show volunteers learn how to envision, plan, promote, and conduct a live FM radio show broadcast at 100,000 watts during prime time. This is not only fun and exciting, but you will also get to put into practice the skills you bring to the table as you learn new tactics to communicate with the masses. You also discover more about Latino literature and culture, leaders and thinkers. You might get some free books, too. Past volunteers and interns began answering the phones and worked their way up to hosting shows, producing segments, and leading town halls. Others have used their experience to pursue careers in media, writing, education, and social justice.